As the name suggests, striped skunks are black with a distinctive white stripe down their sides to the base of their tails. They are found throughout much of North America usually within 2 miles of a water source and serve as great insect eliminators as 70% of their main diet is insects. 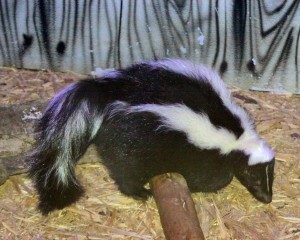 Conservation Status – Striped skunks are abundant and not of any conservation concern. 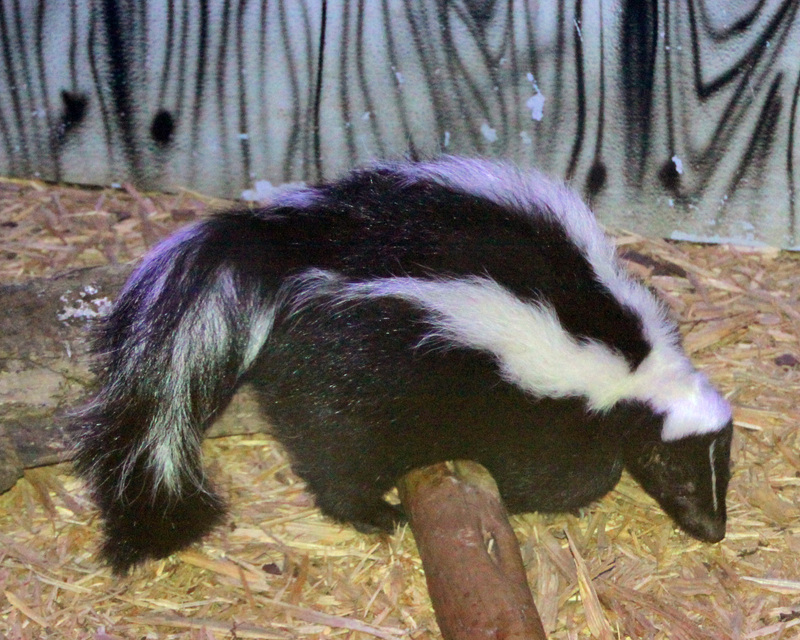 Due to the spray that skunks emit when mortally threatened, they are rarely preyed on by mammalian predators, rather they are eaten primarily by large birds like the great horned owl and red tailed hawks.